Born Paul Christopher Hudson in a place called Drewsland, a humble neighbourhood on the outskirts of Kingston, he had early dreams of becoming a star. Chrisinti as he is now called, a name taken on by himself and given the meaning Selassi I Child, participated in school fetes and concerts in his community from the early age of 6 and all the way through high school. His first real opportunity came from Richard Bell who produced his first recording entitled “Aware of Drugs” for the Star Trail Recording Label. In 2003, Kings of Kings released Christinti’s debut album entitled “Comfort My People”. This album, featuring the popular cover “No More Rain”, heralded the entrance of an artiste certainly set to make a difference in reggae music. Chrisinti’s highly anticipated sophomore album, entitled “Again”, which was produced by Kenroy YahBreeze Archibald for Eight76 Records, hit stores in May 2005. One of Chrisinti’s biggest hits was “Oh Sheila”, a song which enjoyed local and international chart success, climbing the charts steadily in 2004 and 2005. Today, as reggae enjoys a renaissance of young conscious artists and producers like I-Wayne, Richie Spice, and YahBreeze, Chrisinti is definitely a sign of his times. 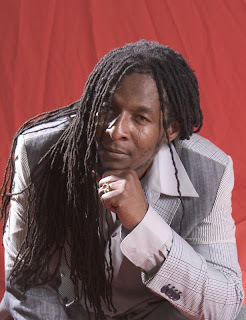 Heavily influenced by the faith he embraced in 1995, Chrisiniti is uncompromising and he says “Rastafari is everything to my music, and through this medium I have gained all my inspiration”. Life and his family also inspire his music as well as the artistes he looks up to such as Beres Hammond, Bob Marley, Jimmy Cliff, Michael Jackson, Marvin Gaye and Gladys Knight. He also gets influences from producers such as Sly & Robbie, Bobby Digital, King of Kings and Stephen McGregor to name a few who produce his music, which he calls “inspirational and uplifting music for the soul.” Over the years Chrisinti has toured in Africa, Europe and the USA as well as the Caribbean and his home country of Jamaica. He has performed at all major shows such as Western Consciousness, St Mary Mi Come From, Reggae Sumfest, Eastfest, Rebel Salute and White River Reggae Bash. After an absence from the spotlight while taking care of his family and spending quality time with his children and experiencing fatherhood Chrisinti is now back in the studio, writing and working on new songs. For 2010 Chrisinti is taking a new approach to the music business and coming back in full force. He is working on his third album, covering new ground to reach higher heights in music. He is very appreciative of the important role the music loving supporters have played in his career and looks forward to continued support from his old fans and the new fans to come as he strives for bigger and brighter success. This cultural music messenger is poised to take music to the four corners of the world and uplift the minds and hearts of many.